Uncover suspicious loan charge-offs and detect potentially fraudulent loans early. There are numerous legitimate reasons why a loan may be charged off. So, how do you find instances where criminals are taking advantage of your lending services? And how do you ensure you are completing SARs when necessary? Verafin alerts you to potentially suspicious loan charge-offs and loans at risk of being charged off, helping improve communication between BSA/AML, fraud detection, and Collections professionals. Institutions are also alerted when entities with loans at your FI have a history of loan charge-offs across FIs in the Verafin Cloud, giving you an early opportunity to avoid potential loss by uncovering fraudsters hiding in your institution. Verafin alerts you to customers performing activity that presents a future loan charge-off risk. Verafin’s cross-institutional analytics alert you to entities with a history of charge-off activity at other institutions in the Verafin Cloud. Verafin’s analytics help improve your charged-off loan reviews, helping you identify and report unusual activity missed at the time of charge-off. Identifying a loan customer with a history of confirmed charge-off activity across numerous other institutions gives you the ability to take quick action (such as repossessing or freezing assets) — helping you greatly reduce bust out risk and the associated potential loss. Examiners are interested in knowing how you review loan charge-offs. Verafin’s analysis of loan charge-offs and alerts generated when potentially suspicious activity is found help you fill significant potential gaps in your detection and regulatory reporting processes. Verafin’s SAR functionality makes reporting loan fraud activity seamless. Generate an auto-populated SAR directly from a case. Complete your Narrative with the help of the investigative notes and findings you have saved in the case and e-file directly from Verafin to FinCEN. Verafin’s loan fraud alerts and the centralized nature of its FRAML platform help improve communication efforts between the departments that need to be aware of potentially suspicious charged-off loans. 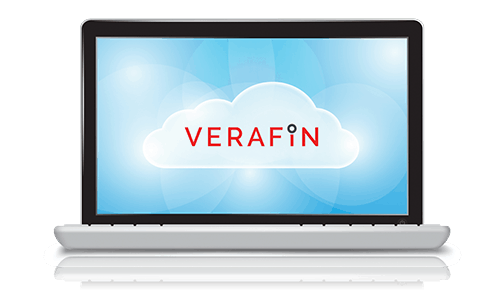 Interested in learning more about Verafin's Loan Fraud Solution?